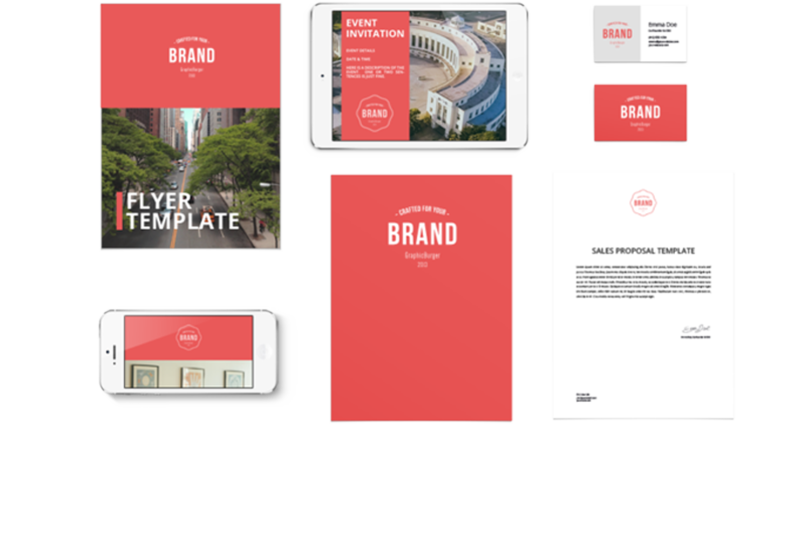 Marketing for Franchises- Digital and Print Templates | Lucidpress . ', failHtml: "
Empower franchisees to localize your brand (without damaging it) through web-based, lockable templates. Franchise development requires a level of consistency and oversight that is unmatched in the world of business. Franchisors and franchisees must develop a system for keeping their brand image and messaging consistent to customers regardless of their location, which is no easy feat. As a franchisor, you've probably established brand guidelines you expect to be kept across all locations, but franchise owners have their own local issues, marketing strategies, and campaigns that preoccupy their time. That's where Lucidpress comes in. Lucidpress empowers you to keep your franchise marketing consistent across the board, all without slowing down your franchisees or taking away their localized preferences. That way, you can (finally) focus on growing your brand instead of maintaining it. From print advertising to digital marketing, your ability to lock down brand assets will keep your franchise's image consistent no matter where it goes or what collateral it's on. 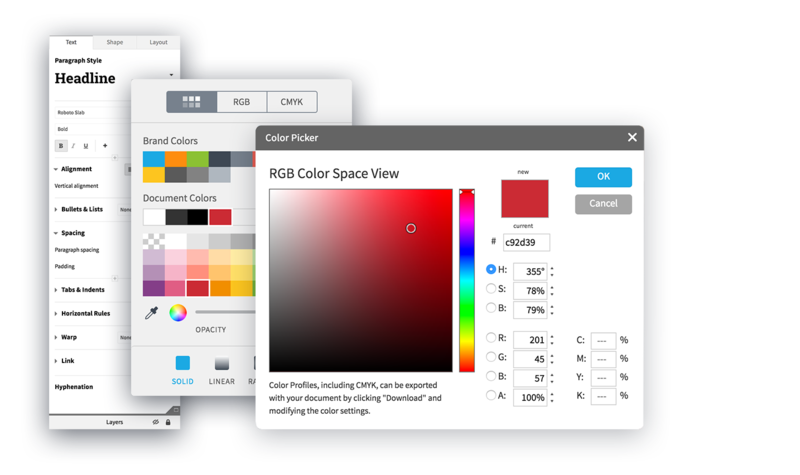 Say goodbye to stretched logos and off-hue colors forever by locking down logos, fonts, images, colors, and more. Our template solution allows franchisees to create professional yet localized designs without disrupting the brand. While other template solutions exist, they can be inflexible and slow. 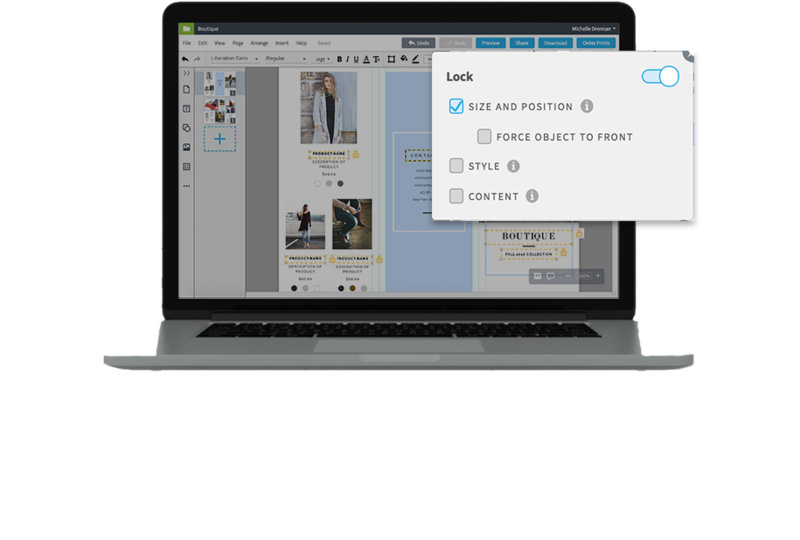 The Lucidpress drag-and-drop editor makes it easy for any franchisee to own their local marketing and pump out print and digital collateral on their own time. Meanwhile, your corporate design team will be able to focus their efforts on bigger branding initiatives rather than menial tasks such as updating images and tweaking text. Franchisees can customize and distribute pre-approved templates on their own, freeing up precious design resources while still ensuring brand consistency. Never see another stretched logo or off-brand color again. Franchisees will only be able to customize the design elements you determine. Consistent brands are 3-4x more likely to receive visibility. Save your brand (and your business) from an identity crisis by staying consistent. Franchise owners want their business to be successful as much as you do. By providing them with the proper franchise marketing platform, they'll spend less time in back-and-forths with the corporate office, and more time building a successful business. Digital marketing tactics, such as SEO or PPC, are great foundations for localized marketing. Print marketing can also be an effective way to attract new business and meet marketing goals. Send mailers to multiple addresses at the same time directly within the Lucidpress editor. 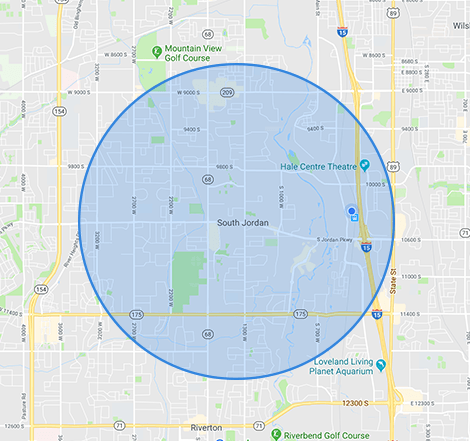 Use our radial search function to target prospects by location, age, income, and much more. "We needed a new marketing system. Each location operated completely independently, with no commonality or branding. We needed unity, and Lucidpress gave us that." "Before Lucidpress, we always had to start from scratch with our designs. 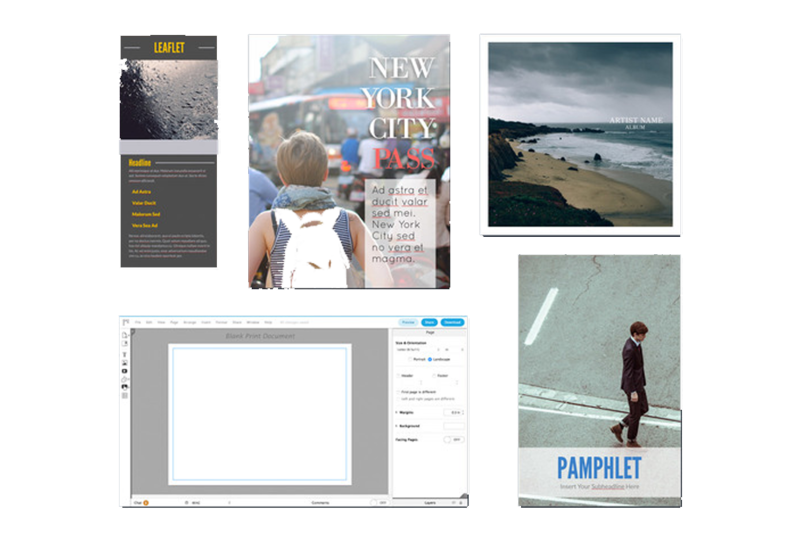 Now our Lucidpress templates help us stay consistent across the board." "In the past 7 months we've been able to get almost 300 pieces of creative up for our franchisees using Lucidpress." "To have a product where I know the software's going to operate, the creative is going to be exactly as I want it, and that franchisees can access it 24/7 — all those things take a huge burden off my plate." Explore our vast library of professionally designed templates, or simply create your own from scratch. You can even upload your existing Adobe InDesign files and convert them into Lucidpress templates. 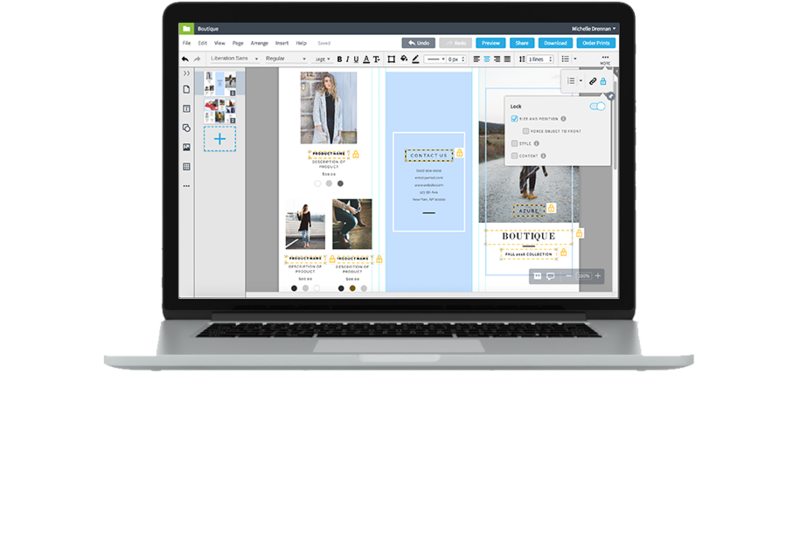 Easily create business cards, flyers, brochures, social media posts (the list goes on) on our cloud-based editor. 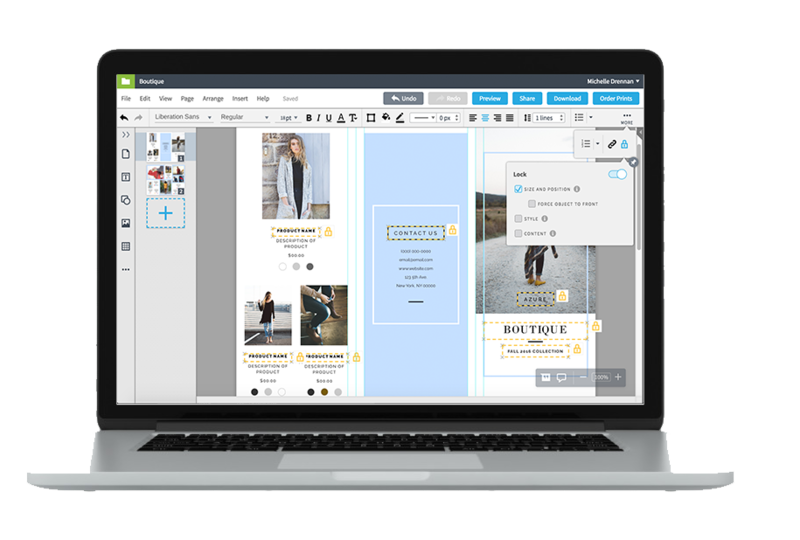 Your brand's important assets can all be stored in the Lucidpress editor for easy access. Lock down logos, colors, fonts and more in your templates to ensure the brand stays protected after it reaches the hands of franchisees. You'll never see off-brand collateral again. Define your preferred user permissions, then let franchise owners collaborate on cloud-based templates in real time. 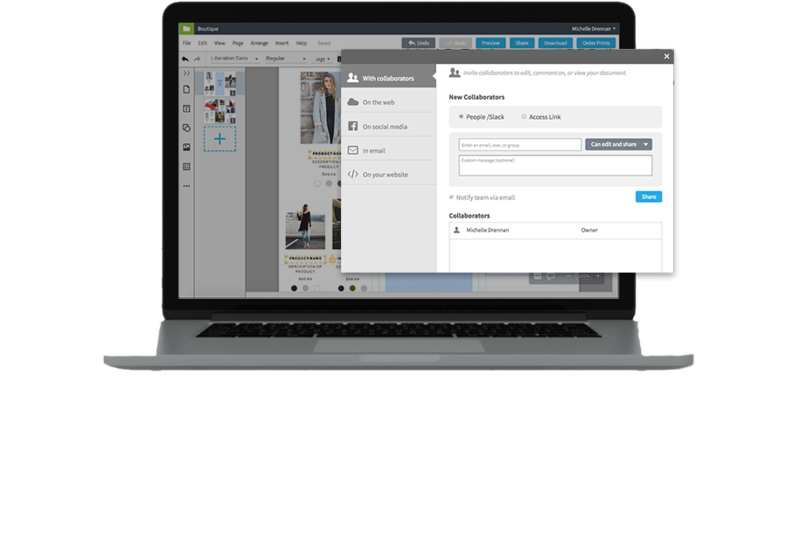 They’ll be able to customize marketing collateral themselves without disrupting the brand or requiring the help of a designer. Toggle our Review & Approve feature on and off for added control. Franchisees can publish digital copies of their documents, share them directly to social media, order prints and even deliver direct mail to clients. This can all be done straight from the Lucidpress editor too.